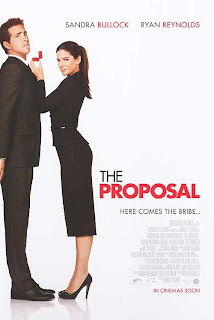 The Proposal: If you're considering seeing this painfully predictable romantic comedy this weekend, I'd like to remind you that the following films are currently playing in theaters: Up, The Hangover, Drag Me To Hell, Moon, The Girlfriend Experience, and The Taking of Pelham 123. I'm just saying. Year One: I was actually planning to check this one out; there's a whole lot of talent involved (co-writer/director Harold Ramis, producer Judd Apatow, stars Jack Black and Michael Cera) and the trailer was at least mildly funny. Then I started getting a look at the reviews; so far, they're absolutely brutal. Maybe I'll wait for disc on this one. Whatever Works: So far, reviewers haven't been terribly kind to Woody Allen's latest; I have a tendency to enjoy even his weakest pictures, so I'll reserve judgment until I see it this weekend.